Lowing dairy herds and rolling Dorset hills are probably not the first things that spring to mind when you think about the popular spirit that is vodka, more likely, the icy outback of Siberia and hard-drinking Muscovites. Challenging this stereotype, from the depths of the Wessex countryside, are a dedicated team of distillers and liquorists, who between them, are responsible for the world’s first pure milk vodka. Set in the idyllic parish of Beaminster, West Dorset, the Black Cow Distillery is fast becoming a household name, its stylish label standing out on bar shelves all over the West Country, and beyond! Mr Toad: Hi Gemma, thanks so much for taking some time out to talk to us. For those of us who don’t already know, what is Black Cow Vodka? Gemma: It’s a pleasure, Mr Toad, glad to help. Most vodka is made from grain or potato whereas Black Cow is the world’s first pure milk vodka made in Dorset from the milk of grass grazed cows. The milk is separated into curds and whey. The whey, which contains the sugar needed to produce alcohol, is fermented, using a special yeast, into a milk beer. The milk beer is then distilled and treated to Black Cow’s ‘secret’ blending process. The vodka is triple filtered and finished before being hand bottled. The vodka has no additives or flavourings, is gluten free and is suitable for those with lactose intolerance as all the milk sugar (lactose) has been converted into alcohol. Mr Toad: How did it come to be and how long did it take you to perfect the process? Gemma: The inspiration for Black Cow came from dairy farmer, Jason Barber, and his desire to diversify the produce from his two hundred and fifty strong dairy herd, also spurred on by his personal interest in vodka. Black Cow was launched in 2012 by Jason and fellow creative, Paul Archard. Mr Toad: What stands Black Cow Vodka out from the crowd? Mr Toad: Is it fair to say that the label has been taking the West Country by storm? Gemma: Yes! We were delighted to win the Best Producer Award at this year’s Dorset Food, Drink & Farming Awards. Mr Toad: How tough was it getting Black Cow Vodka ‘out there’ and did you have a ‘breakthrough’ moment? Gemma: The toughest part of our brand is convincing people that it really does come from milk! Mr Toad: How proud is Black Cow to be flying the flag for the West Country and Dorset? Gemma: Extremely – our vodka is Dorset born and bred. Mr Toad: Can you tell our readers a little bit about the Gold Top Cup? Gemma: The Gold Top Cup is Black Cow Vodka’s annual cocktail making competition. This year’s competition saw the standard reach new highs with finalists from the UK, California, Singapore and Hong Kong impressing the judges with their exceptional talent, passion, expertise and knowledge of Black Cow. During the finalists’ three-day visit, bartenders were brought to West Dorset where they experienced the wonders of the Dorset coastline by sea, sailing together along the famous Jurassic Coast on a tall ship, before battling it out for the trophy. Finalists received a handmade Black Cow cocktail roll with gold bar kit. The winner of the Gold Top Cup 2017 was Erica Brown, from the iconic Bar Stella in Silverlake, California with her creative cocktail, ‘The Beautiful Bovine’. She was presented with the Gold Top Cup, thrown by internationally renowned West Dorset potter Tim Hurn and a £1,000 cash prize. Mr Toad: Where can our guests get their hands on some? Gemma: It shouldn’t be hard to find us. Black Cow Vodka is now stocked in more than a thousand retail stores across the UK from Sainsburys to Fortnum & Mason. Our global distribution includes the US, Canada, Hong Kong, Singapore, Spain and Australia. Mr Toad: What makes Black Cow Vodka the perfect holiday drink? Mr Toad: What does the future hold for Black Cow Vodka? Gemma: We are very excited about the future. Black Cow now sells in eleven countries and we hope to increase this number and our global presence. A big thank you to Gemma for answering our questions and introducing us to the ‘udderly’ delicious Black Cow Vodka. 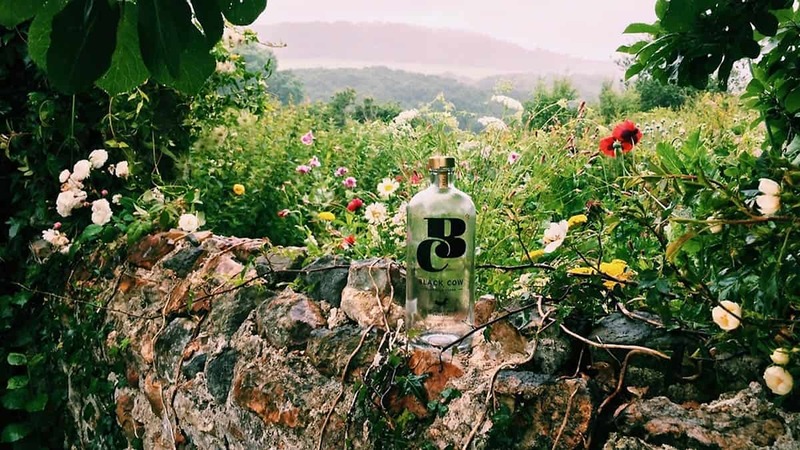 Black Cow Vodka joins a long list of champion West Country beverage ‘n’ fare, all waiting to be discovered when you book a stay with Toad Hall Cottages. We’re passionate about the South West and all it has to offer, and that’s why we’re one of the region’s leading holiday cottage agents. Let us help you find the perfect setting for your West Country holiday along with memories to last a lifetime. Whether you’re thinking of a family-break, a gathering of friends, a dog-friendly dwelling, a romantic getaway, a luxury retreat, or a solo escape, with hundreds of gorgeous cottages on our listings we’re sure to find the right property for you and at a price that won’t break the bank.